The differences between our two cordyceps extracts might seem a bit confusing at first. Our standard extract, or what we call the 1:1 extract, is actually more like a full-spectrum mushroom powder. It is a water extract. However, it is not a traditional solvent extraction, where you only concentrate the soluble compounds, and discard the insoluble ones. Our extract uses hot water to break down the chitin in the cell walls of the mushroom. Chitin is a fibrous substance in the cell walls of mushroom. Very few humans can metabolize chitin, so breaking it down makes the beneficial compounds in the cells bioavailable. After the hot water is used to break down the chitin, the entire mushroom material is kept, dehydrated, then turned into a powder. So our 1:1 "extract" does not lose any compounds that are not soluble, which makes it the most like wild mushrooms. It just has the chitin broken down to make it able to be absorbed better. Our 1:1 extract is also what is most like the mushrooms used in human clinical research. One unit of starting mushroom makes one unit of finished extract. In contrast, our 10:1 extract is a full solvent extraction. It is a dual water/ethanol extract, which allows for the concentration of both water and ethanol soluble compounds. Hot water is still used to break down the chitin. However, then ethanol is also used. In this extract, 10 units of starting mushroom are used to make 1 unit of finished extract. In contrast to our 1:1, the 10:1 concentrates the water/ethanol soluble compounds, and discards the rest. So the soluble compounds are concentrated, while the insoluble ones are discarded. This is what is referred to as a traditional solvent extraction, where solvents are used to concentrate active ingredients. It is very similar to something like our polygala tenuifolia extract, which is a 20:1 dual water/ethanol extract. So what do these different types of extractions lead to? Well, our 1:1 extract has higher beta-glucan levels, and lower cordycepin levels. The 10:1 has higher cordycepin, but lower beta-glucans. This is because cordycepin is more ethanol soluble, and beta-glucans are more water soluble. Since you are losing none of the material in the 1:1, you get the most beta glucans, but you are not concentrating the cordycepin. The 10:1 is concentrating more of the ethanol-soluble compounds, but you lose some of the beta-glucans in the process. However, the 10:1 ratio only signifies the amount of raw material equivalent used in the extract. It does not mean that it is ten times a potent as the 1:1. Based on analysis, the 10:1 has double the cordycepin content as the 1:1. This is because the extraction method for the Cordyceps mushroom doesn't lead to a linear increase in strength. You also discard some of the insoluble compounds in the mushroom, which leads to changes in the character of the effects. There are also more ethanol-soluble compounds in Cordyceps other than cordycepin. So, the cordycepin content is only part of the story. How Much Cordyceps Mushroom Should I Take? In terms of comparing Cordyceps dosages, its important to remember that the 10:1 extract isn't technically 10 times stronger than the 1:1 extract. With this in mind, our label recommends 1 gram (or 1000mg) of the 10:1 extract, which is the same dosage for the 1:1 extract. However, anecdotally, the 10:1 extract is quite a bit more stimulating, so 250-500mg may be adequate as well. Many people prefer to split their 1:1 dosage into two 500mg doses spread out over the day. This is especially true for those that can get minor stomach upset with higher dosages of Cordyceps. 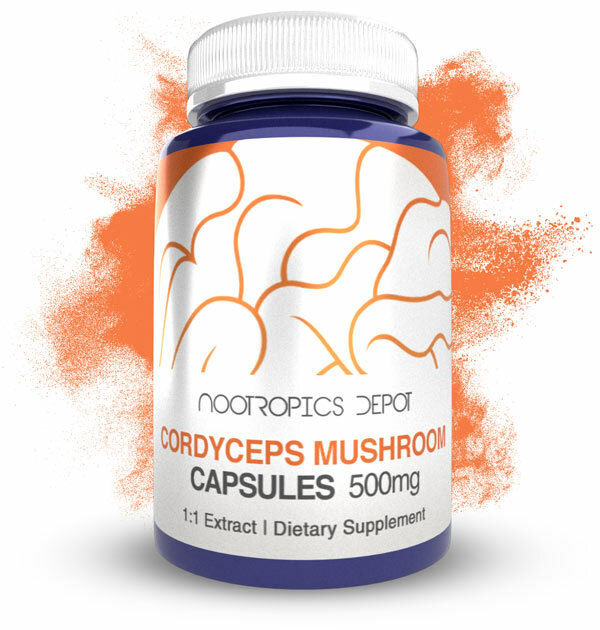 Our Cordyceps capsules are 500mg of our 1:1 extract in each capsule. The 10:1 seems to be stronger in some aspects, but also smoother in others. Many people find that a single 250mg dose is adequate for the 10:1. As always, this all comes down to your personal preference and what works best for you. Which is the Best Cordyceps Supplement For You? 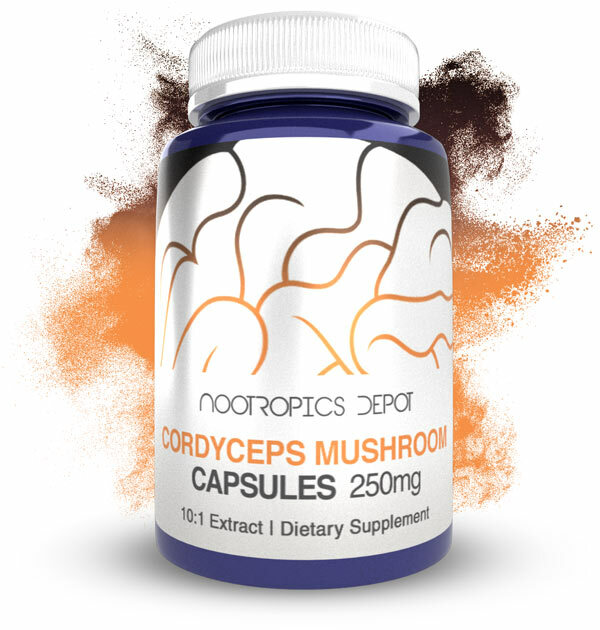 If you are looking for a daily addition to your supplement regime or natural nootropic stack, with the goal of increasing your overall energy levels, then the 1:1 Cordyceps supplement is a really good one to start with. 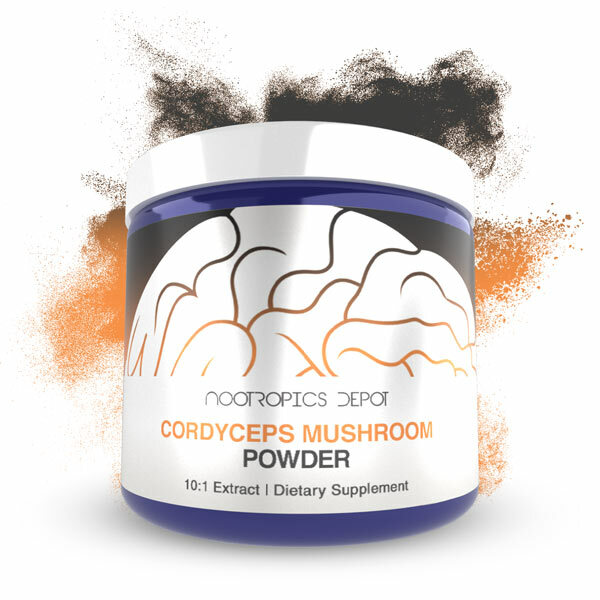 If on the other hand, you are interested in the endurance enhancing effects of Cordyceps mushroom, then you are likely better off opting for the 10:1 Cordyceps supplement. Alternatively, you could use our 1:1 extract on a daily basis and then use the 10:1 extract right before any strenuous physical activity. As with most supplements, a little trial and error is going to come into play to find what works best with your body and brain chemistry. 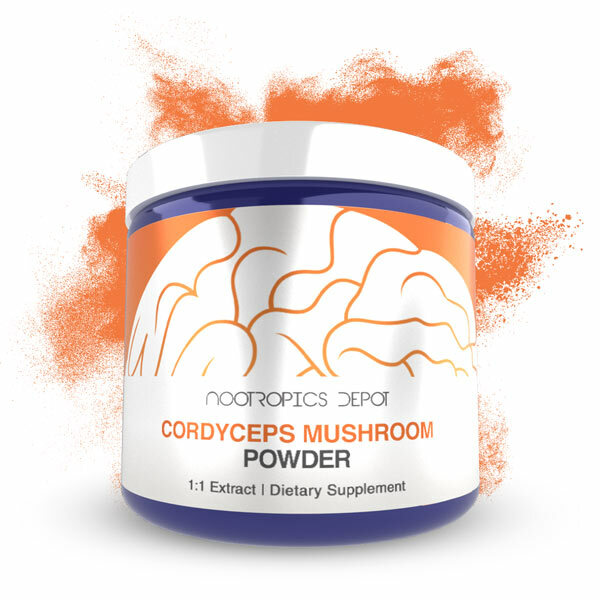 Nootropics Depot offers our 1:1 Cordyceps militaris in powder or capsule form and our 10:1 Cordyceps militaris in powder form.